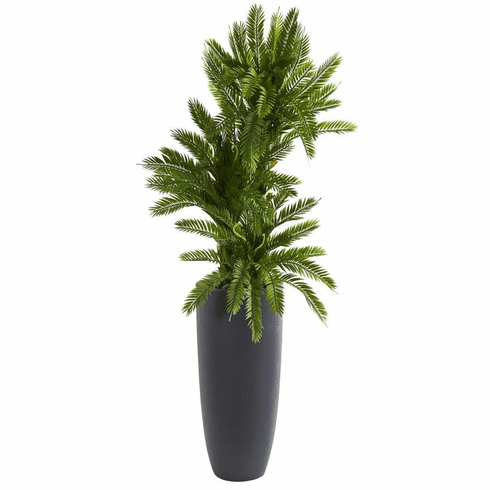 Dense layers of green foliage top a gray planter with this artificial triple cycas plant. Simple, but no less beautiful in design, the natural look of this item’s planter makes it the perfect addition to a rustic-styled home. To finish off the look, be sure to pair this piece with soft leather furniture with simple lines and an end table with a distressed or weathered finish. Height: 4.5 Ft., Width: 23 In., Depth: 23 In., Color: , Pot Size: H: 24 In. W: 11 In. D: 11 In.